For the first time in its history Russia has won the right to host the football World Cup in 2018. For the country it will be one of the most expensive events and could well exceed the cost of the Sochi Olympics. ­We believed and we got it. 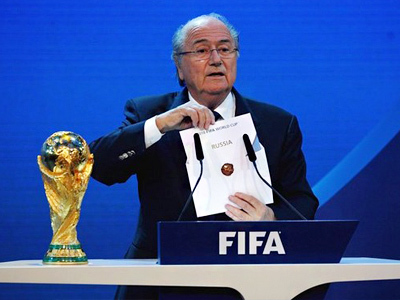 The World Cup 2018 will take place in Russia. But how will it cost to fulfil the dream? The organising committee has outlined a budget of $640 million dollars – but Prime Minister Putin says that's likely to prove a fraction of the eventual bill. 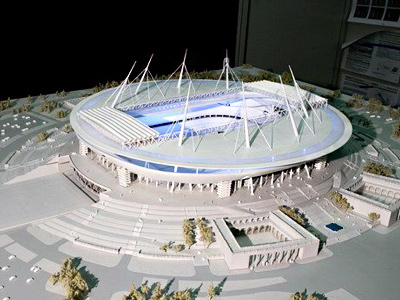 “Under preliminary estimates the construction of the stadiums and the neighbouring infrastructure will cost us 300 billion roubles. That’s about $10 billion dollars”. But the championship involves a whole infrastructure that goes well beyond the stadiums – involving roads, hotels and airports. Aleksandr Arutyunov, President, VAO Intourist, says Russia has enough time and money. 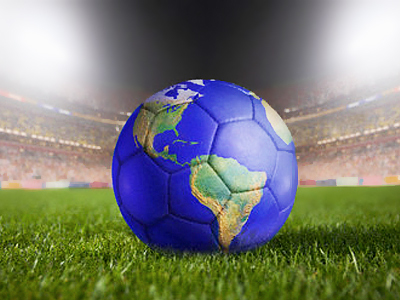 “Such events as the Olympic Games or Football world cup are huge market drivers. If the state program for developing domestic tourism is tapped, as well as others sources, for the world cup, there will be budget money, state support and private investors. And everybody will benefit from it. 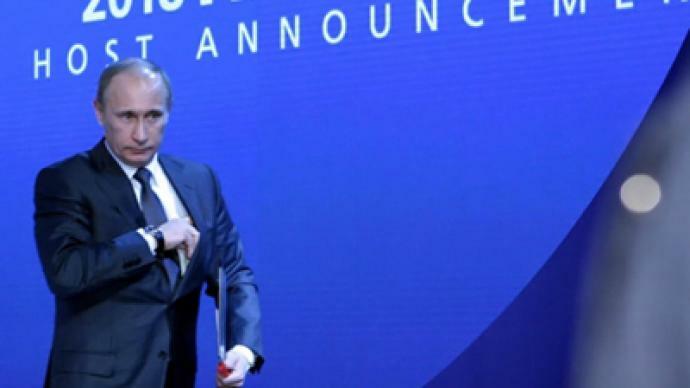 It may also depend on how the Sochi Olympics go, and all who are interested, from tourists to market players and investors, will decide whether they’ll come to Russia in 2018 or not." Even more important than what Russia spends will be what it earns. All World Cups are claimed to be economic winners for the host countries. Plamen Monovski of Renaissance Asset Managers says the total expenditures will be enormous but generate a major boost to the Russian economy. “The first and most substantial effect would be the beginning of a very large infrastructure cycle, that we estimate will go on for close to a decade. And the numbers are very large, we anticipate trillions of dollars to be spent across the entire economy. And the World cup is just the catalyst for that. We again estimate, in Renaissance asset management, we think that, like in the case of South Africa, a percent, even a percent and a half to GDP growth. Clearly Russia is a much larger country than South Africa, employment in South Africa went up by about 70 thousand people – we think the effect in Russia might be a lot more profound, and this will also lead to the creation of a value chain of a lot of companies that didn’t even exist before, and that will have further multiplier effect, construction companies will have the greatest benefit. We need to do the basics in Russia. You know, the road network is in very poor condition. Russia is 111th in the world in terms of the state of its road infrastructure – something the Kremlin realizes. And that’s where the first efforts will be. The numbers that we work with are showing us that there will be about 14 thousand kilometers of road to be built, and we estimate this is going to be more than 50 billion dollars. So everybody that’s involved in road construction, including bridge construction – complex and more simple – will benefit tremendously." 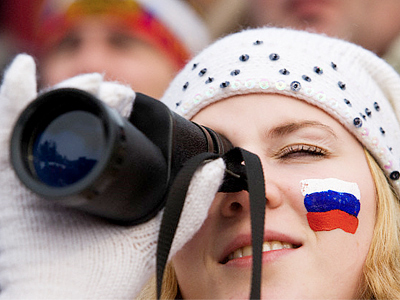 Economists warn that initial estimates may multiply over 7 years, as happened with Sochi. In comparison, Qatar, the host for World Cup 2022, plans to spend $4 billion on stadiums and 50 billion dollars on infrastructure. In terms of expense, at least, the dream is unbeatable.